We've been discussing many topics each night as we celebrate this amazingly prophetic and Yeshua-packed feast. One theme seems to be the connection of the Table of Shewbread to the shoulders of the High Priest and to Mts. Ebal and Gerezim in Shechem. I know. Strange combination. But follow me for a minute. It was at Shechem where the covenant of Abraham was made, where Jacob's sons tended the sheep, and where Joshua reconfirmed the covenant of Moses before the two mountains that flank each side of the city. Shechem literally means "between the shoulders," referring to the two mountains of Ebal and Gerezim. And although there were many incredible things that happened at this small city, Joshua's act is where we want to make a connection to the Light of the world. In Joshua 8, six tribes were told to stand on Mt. Ebal and six on Mt. Gerezim while the covenant blessings and curses were read. All the curses were read to those who were on Mt. Ebal and all the blessings to those on Gerezim. The word picture was obvious as Mt. Ebal was a rocky, bald mountain while Gerezim had a luscious, green landscape. Because Shechem is the place between the shoulders, we can easily deduce that the "place" between the shoulders is obviously the head. And because the High Priest of heaven chose this spot to cut a covenant with Abraham, and this spot was the head, we know that the city of Shechem was the head of the High Priest. This is verified by the mere fact that the tribes are being placed on the shoulders (the mountains) for judgment, making an undeniable reference to the ephod and shoulders of the high priest. "'Then you shall take two onyx stones and engrave on them the names of the sons of Israel: 10 six of their names on one stone and six names on the other stone, in order of their birth. 11 With the work of an engraver in stone, like the engravings of a signet, you shall engrave the two stones with the names of the sons of Israel. You shall set them in settings of gold. 12 And you shall put the two stones on the shoulders of the ephod as memorial stones for the sons of Israel. So Aaron shall bear their names before the LORD on his two shoulders as a memorial.'" Through the confirmation of the covenant through Joshua on the mountains of Shechem, Yahweh was intentionally creating the image of the high priest right before their eyes, complete with six tribes on one shoulder and six on the other. The high priest was literally carrying the twelve tribes on his shoulders as he went into the Holy of Holies for the judgment of Israel. The blood that was shed would be their atonement and Israel would be forgiven of its sins once again. "For unto us a Child is born, unto us a Son is given; and the government will be upon His shoulder. And His name will be called Wonderful, Counselor, Mighty God, Everlasting Father, Prince of Peace. 7 Of the increase of His government...there will be no end." The Mighty Elohim is going to visit mankind in the form of a Child and take on the role of High Priest. He will take the government of Israel, which is full of sin, on His shoulders and will walk right into the Holy of Holies with His own blood, paying for the sins of Israel once and for all. What happened at Shechem was a foreshadowing of what would happen almost 2000 years later at the cross. And on top of that, the name Yeshua is, in fact, translated into English as Joshua. This makes the connection even more astounding as it was Joshua who was standing "between the shoulders" of the mountains confirming the covenant with his people, and it was Yeshua (Joshua) who fulfilled that picture by carrying the tribes of Israel on His own shoulders. But how does all this relate to light? For that we have to go back into the tabernacle and visit the Table of Shewbread. On that table were two stacks of six pieces of unleavened bread. Again, we have an allusion to Mts. Ebal and Gerezim and the cutting of the covenant. We have another prophetic picture of the six tribes on the shoulders of the high priest, but this time the picture is dependent on the light of the Menorah or it can't even be seen. 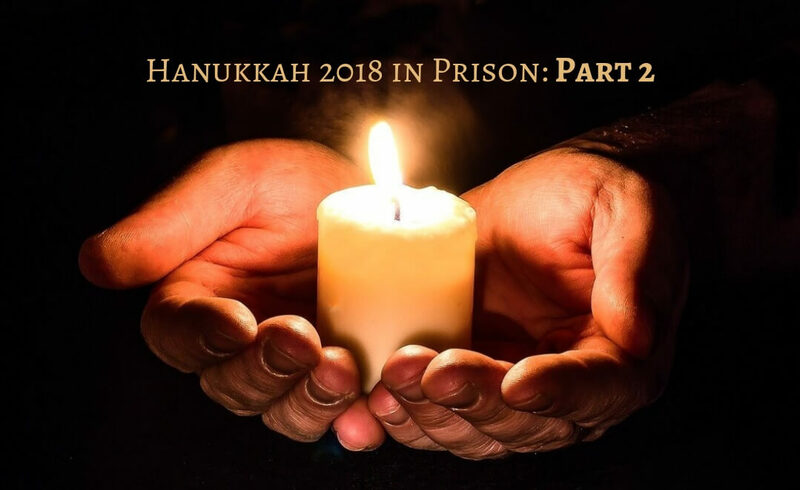 It is the light that comes from the Menorah, which is the Word of God, which is Yeshua, that actually allows the priest to see the bread that gives him sustenance. Without the light of the Word shining on Israel, she is not only left in the dark, but will not recognize the true food from heaven that she so desperately needs. Today, believers everywhere have allowed their lights to be dimmed in various ways, causing their vision to be blurred to the powerful sustenance the Father has placed just within their reach. The Spirit's divine assistance is right in front of us, ready to guide us into the fullness of life that He has prepared for us. The problem is that many times, through sin and a life of compromise, our eyes are turned this way and that, causing us to miss the answer that has been right in front of us the entire time. In other words, if we desire to be led by the Spirit and experience His life-transforming presence, or we're in a situation where we really need to hear His voice on a matter, those answers are found where He lives: in a holy temple. This means that we need to live set apart, holy lives and keep our eyes on the light of Messiah and His Word. That light always points the way to the answer, that living bread from heaven, which will strengthen you through whatever darkness you might find yourself in. And trust me, when you are so weary that you just can't walk any further, climb up on His shoulders and let your Mighty God carry you across to the other side. Never forget that some of the most important, powerful covenants were created in the darkness of night. Out of the darkness comes the most glorious Light. Wait for it. Wait for Him. Stay on His shoulders. Don't compromise. He's in the dark with you. Joy WILL come at the first rays of dawn.